Everyone has some degree of emotional intelligence (EQ). It is not an either/or quality. Some people have a naturally high EQ. Others may need to build EQ through education and practice. Therapy can help those who wish to build their emotional intelligence. Emotional intelligence, or EQ, can be measured by various types of tests. Like IQ, the “typical” score on an EQ test is 100. The higher the score, the more emotionally intelligent a person is. Someone who scores 110 or above is generally considered to have a high EQ score (though the exact cut-off varies by region). A low EQ score does not mean that a person is cruel or emotionless. It simply means they have trouble recognizing and understanding emotions. A person can improve an EQ score through training. According to the 2018 State of the Heart report, global EQ levels have been on the decline. In 2011, the average was score was 101.5. By 2017, the score had leveled out to 99.2. There are several theories about this decline. Some experts say the dip is due rising stress levels. Others blame a growing reliance on social media for communication instead of face-to-face interaction. The report also ranked six global regions by their average EQ score. Pacific Asia had the highest rank; Europe had the lowest. North America ranked third with an average EQ of 101.9. Thus, an EQ score of 100 could be typical in one nation and low by another country’s standards. Therapy can be helpful when a person wishes to better understand and further develop emotional intelligence. In therapy, a person can improve their ability to recognize and understand their own emotions. As they become more mindful of their feelings, they can practice responding to those emotions productively. For example, rather than lashing out when they are angry, a person can spot their frustration as it grows and take steps to calm down before speaking. Self-awareness can play a major role in emotional intelligence, but developing empathy for others is also important. Some therapists train individuals to become better aware of what others around them are feeling. In therapy, a person may learn social skills such as reading facial expressions or adjusting their own body language. A therapist may also help the person practice “small talk” in a safe, judgment-free zone. Emotional intelligence training can be especially helpful to those with Asperger's syndrome. Research suggests that greater emotional intelligence can be developed, especially early in life. 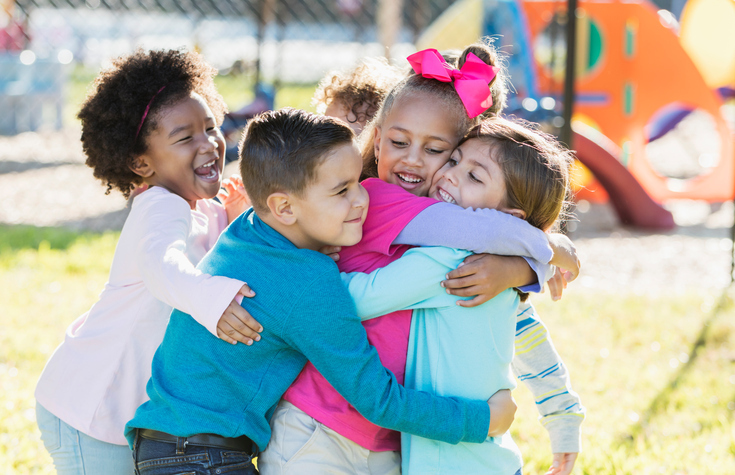 Programs that teach "social and emotional learning" (SEL) have begun to appear in schools within the United States and many other countries. These programs were developed to reflect the idea that children with stronger emotional awareness will experience greater academic success. SEL programs often begin with helping young kids recognize emotions. They may use storytelling to help kids practice imagining how others feel. Teachers might also ask kids to roleplay emotional situations. Since the kids know the situation is “pretend,” they may be more receptive to behavioral coaching than when they are in the midst of a real argument. As children age, SEL programs often shift their focus to social responsibility. One class might be asked to put away their belongings to prepare the classroom for the next group of kids. Another class may participate in a civic project such as collecting soup cans for a charity. These activities can teach children to see themselves as part of a larger community and develop empathy for people they don’t know. These lessons in empathic behavior have helped reduce incidences of bullying, violence, and other misbehavior. Students in these schools are often better equipped to work through conflicts, both on their own and in a group. They are also more likely to take responsibility for their actions and develop leadership skills. What's more, schools that had these SEL programs reported higher levels of academic achievement afterward. Lack of emotional intelligence in the workplace: Keiran, 27, is referred by his employer for eight sessions with an Employee Assistance Program consultant because he is struggling at work. Keiran speaks impulsively, takes criticism poorly, argues with his peers and supervisors, and fails to complete tasks he begins. The therapist provides him with an emotional intelligence self-test. The test reveals to Keiran that he is not in touch with his own emotions and does not know how to manage his feelings. Keiran is able to begin learning these skills in therapy. Gradually he becomes more self-aware and mindful of his actions. After eight sessions, Keiran is referred for ongoing treatment with another therapist to more deeply explore the origins of his emotional challenges. If you or a loved one would like to develop your own emotional intelligence, you can find a therapist here. Ferraro, J. (2010, September 8). Developing emotional intelligence. Psychotherapist NYC. Retrieved from http://psychotherapist-nyc.blogspot.com/2010/09/developing-emotional-intelligence.html. Kahn, J. (2013, September 14). Can Emotional Intelligence Be Taught? New York Times. Retrieved from http://www.nytimes.com/2013/09/15/magazine/can-emotional-intelligence-be-taught.html?pagewanted=all&_r=0. Swijtink, Z. (2009, February 1). Daniel Goleman's five components of emotional intelligence. Retrieved from http://www.sonoma.edu/users/s/swijtink/teaching/philosophy_101/paper1/goleman.htm.